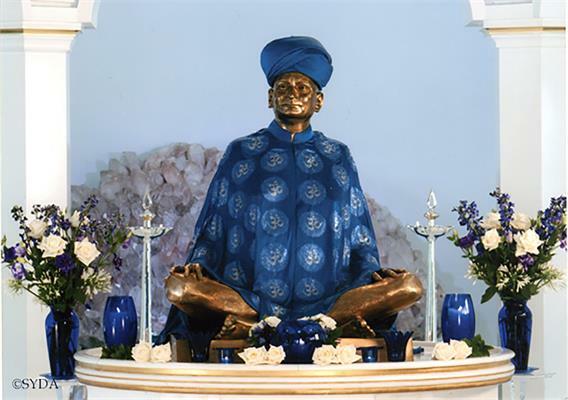 Bhagavan Nityananda’s murti in Shri Nilaya, the Siddha Yoga Universal Hall. Bhagavan Nityananda is adorned with garlands of fragrant mogra blossoms. 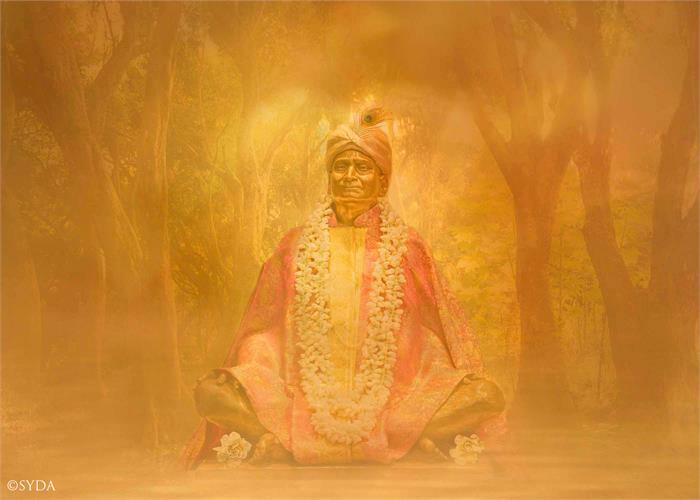 Speaking about the murti of his beloved Guru, Baba Muktananda said, “The murti of Bhagavan Nityananda is so alive and lifelike that every devotee will feel as though he were actually sitting in the vibrant presence of Nityananda. Bhagavan Nityananda murti in the Temple at Shree Muktananda Ashram.